THE Queensland Cabinet and LNP party room gathered yesterday and agreed upon our final plan for reducing the state's $80 billion debt and freeing up funds for job-creating infrastructure projects. 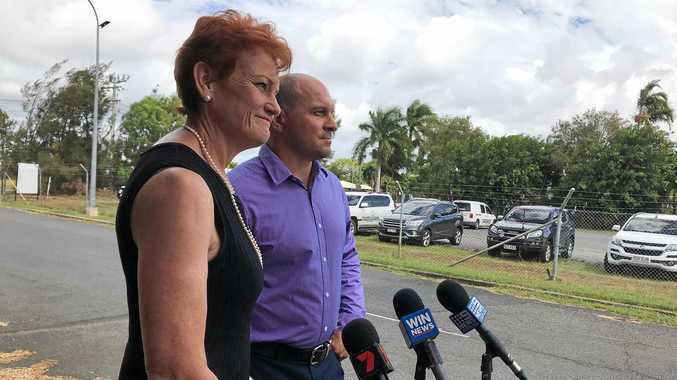 The plan, which will now be taken to the people of Queensland for a mandate, is for a small number of state-owned assets to be leased for 50 years with an option for lessees to extend the leases for another 49 years if strict terms and conditions have been met. We released a draft plan with the budget in June that included options for asset leases, sales and hybrid investment models. But the feedback from Queenslanders has been that while they want action to tackle Labor's record state debt, they also want to see the government retain control of the assets. The LNP has listened to Queenslanders' feedback and the reshaped plan, supported by my Cabinet and party room colleagues, addresses those concerns and offers the best overall outcome by leasing, not selling. Our modelling shows by leasing the assets in question, including the Ports of Gladstone and Townsville and electricity transmission and distribution companies Energex, Ergon and Powerlink; we would still be able to pay down debt by about $25 billion as the independent Commission of Audit recommended. Importantly the government would also retain control of the assets and would have the power to determine and enforce the lease conditions. As with the draft plan, the remaining funds delivered through the leasing agreements would be used to fund the future needs of Queensland communities. The conditions of the leases, including the appropriate use of land and assets, safety requirements and service standards would be written by the Government and will ensure the interests of Queenslanders are upheld. We would also include conditions around future investment and expansion to ensure the businesses keep pace with changing market conditions. Importantly our government would continue to make payments that ensure regional Queenslanders get their power for the same price as those in the south-east, as well as guaranteeing supply for remote communities. As owners, Queenslanders will have the right to take back the assets if the lessee breaches the conditions in the lease agreement. The Strong Choices plan has been finalised after months of consultation and refinement with input from hundreds of individuals, community groups and peak organisations. From the very beginning, when the Commission of Audit delivered its final report recommending that the government significantly reduce debt, we have consulted with Cabinet, MPs and all Queenslanders to ensure they understand our plan. And yesterday it was voted on in both Cabinet and the party room following an in-depth discussion about the issues involved, such is its importance for Queensland's future. I have travelled more than 19,000 kilometres around the state and talked directly to more than 20,000 Queenslanders outlining our plans and listening to their views. Our government's careful and methodical preparation of the Strong Choices plan over the last nine months was in stark contrast to Labor's panicked asset sales. Who could forget when former Labor Transport Minister Rachel Nolan stood up on May 21, 2009, in parliament and said Queensland Rail was definitely not for sale, and just a couple of days later it was. In the former Labor Government not even the relevant minister was told of the secret sales plan, let alone the Queensland public. Our government let the people of Queensland know exactly what we were considering at every step of the way, we have listened and made changes following public feedback, and now the Strong Choices plan will be put before Queenslanders at the next state election.